The dye had been cast. My card had been charged for a non-refundable flight ticket to the la-la land of Rovaniemi, - the Finnish Lapland’s capital. Besides being famous as Santa Claus’ home town, the Finnish Lapland is also famous for Aurora Borealis sightings. Hoping like hell to get lucky in the early part of September, I was headed to catch a glimpse of the Northern Lights. Research showed that few and far between sightings had been reported around the area I was going to. Excitement of the possibility of joining a group of aurora hunters, weather permitting, as the extra shot of adrenalin. Taking a weekend off after the Helsinki Design Week, I had signed up for two days in the Lapland of which one was going to be in an igloo in the hinterlands. I had seen pictures of Northern Lights and knew that a good viewing of it happens only in remote Arctic areas; that the possibility of sighting was a matter of chance with a low rate of predictability; that the temperatures and habitation across the Arctic Circle are both equally low. All these factors made the idea of this quick solo trip even more thrilling. Finland is a sparsely populated country and I was going to fly further away from populated towns. Aboard the one and half hour flight, I actually felt like a kid again, excited about landing at Santa Claus’ official airport! Sure enough, Santa, along with his team, welcomes you with a local band at the luggage carousel, as you enter the terminal building. The airport gets all of three flights in a day and it empties out as fast as it fills up with one-flight passengers! So if you have to get a cab, be out quick. For a first timer, there will always be bloopers. For yours truly, it happened right at the Rovaniemi airport. I had to take a bus to Levi, which was a two and a half hour drive out of town. For some reason, I understood that the bus would leave from the airport. By the time I asked around, the airport had emptied out. I was left alone looking at the beautiful trees and the design of the vacant building. Fortunately for me, a young gentleman who had come to the airport for an enquiry saw me standing under the TAXI signage and was kind enough to give me a ride into town. En route, as we got chatting, it turned out that he was part of a luxury tour company which had organised the honeymoon for an Indian cricketer... no prizes for guessing the name! Neither did he divulge the name nor the place of their visit. 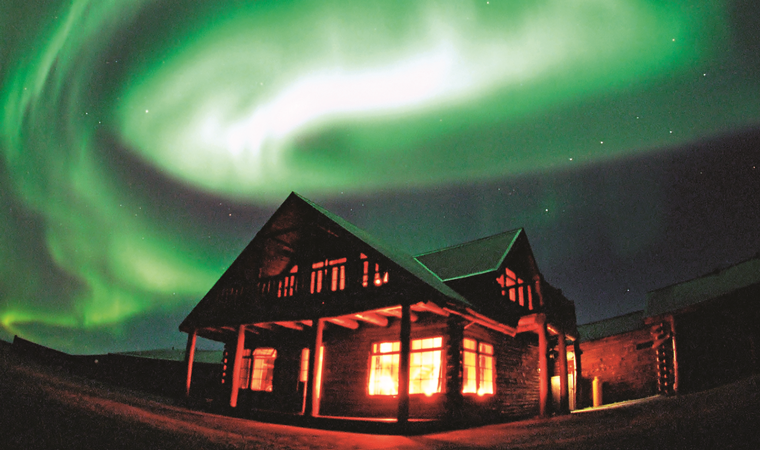 Depler Farm: A Sheep farm converted into a luxurious hotel, the Depler farm offers spectacular views of the Northern Lights along with action packed extras such as Heli-skiing. The floor to ceiling windows offer magnificent views of the surrounding peaks known for highest snowfall. Should you want to take a break from the plethora of outdoor activities on offer, head down to the spa and enjoy everything from a stone hot tub to isopod flotation tanks. I had an hour to go before the scheduled departure of the bus that was to take me to Levi, from there I had another half hour ride to the hotel, into the Arctic woods. As I stood there taking in the proportion of infrastructure versus the population, I decided to explore the area. 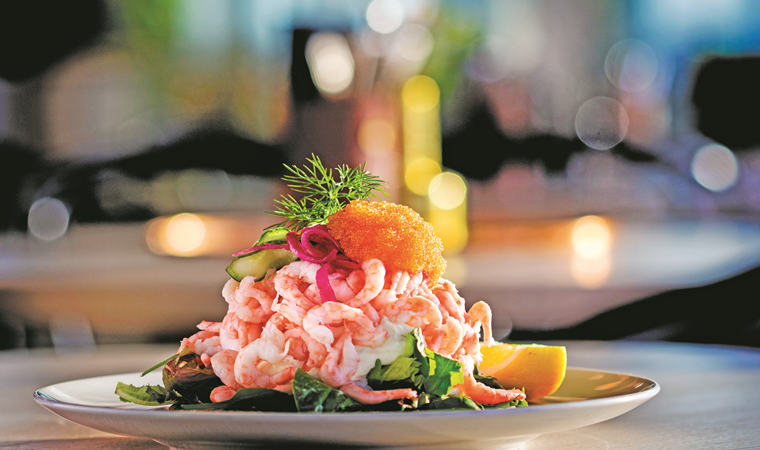 Hotel Ranga also have an indoor garden where they grow their own vegetables to be served to the guests at the fine-dining restaurant by the river. Thanks to Google maps, I noticed a coffee shop in a museum close by. Within 30 minutes I had walked to the city centre, looked at the shopping centre and the plaza and even spotted the hotel I was scheduled to return to the following day. A quick look around the museum and a hot coffee, I was back at the station, all within an hour! A few minutes later we rambled on further away, towards sparser settlements. This is where the real fun begins. Driving through the wooded countryside, the colour of leaves on the trees turned from green to yellow to red, in all shades of fall colours. A quiet peaceful journey, wherein we crossed not more than a dozen vehicles. On the way, we drove past Kittila town with an even smaller airport that caters to skiers in the region and finally to Levi. The bus had all of eight passengers, stopping and dropping some of them at the wayside village bus stops. By the time we reached Levi, there were only three of us. I had been warned, that if it got cloudy or started to rain, the chances of sightings would recede further. As we set course from Rovaniemi, fifteen minutes into the journey, it had started drizzling. While I prayed silently for it to go away, having grown up in the mountains, I had a nagging sense that this was not going to happen. By the time we stopped for a coffee break at a highway inn, it was pouring and everyone I spoke with, precisely three people, told me that the chances were low. Resigned to make this my recee trip for a fully planned future holiday, I set about to make the most of ‘crossing the Arctic Circle’. At Levi I had to look for a cab to drive me the final leg of the journey; into the woods to my igloo. It was getting colder than anticipated. The timing of my visit was just before the cusp of the season, the last few days of good temperatures, it hovered around 0 degrees. All the built up nervousness and excitement and now add to it the cold, made the sight of a Burger King at the bus stop evoke a huge wave of warmth and comfort, but I knew I had to suffice with a mere view of it. I had another half hour drive ahead and had by now learnt the lesson of ‘get your cab quick’. Thirty euros later and an equal number of winding turns up a mountain slope I was at the doorstep of the hotel. The downpour had turned into a drizzle but the sky was still overcast and dusk had set in. I checked in and walked a few meters down a slope to my igloo. I had made it! So far so good! Stepping in, it felt as if I had walked into a light bubble with tree tops and the skies as wallpapers. If I could, I would have opened my eyes wider, taken deeper breaths and felt the views on my skin (whatever of it was exposed) and locked the sounds in my head. I guess living in metros, our idea of space has become a walled box. I could look through the glass walls and the roof, it was nature 360 degrees. Exhilarating would be too mild a way to describe it. I could feel my skin crawl in a nice way, taking in the views, experiencing a moment of sheer purity. Something shifted in the consciousness, there was a strange inexplicable sense of reassurance. After the initial readjusting that the eyes needed, there was a sudden sense of liberation…the walls had, not only metaphorically but also literally, fallen off the mindscape. The surrounding landscape moved in as sinuously as the dance of the Lights to occupy the expanded visual consciousness. It was an incredibly true, soul stirring moment and I kept pinching myself that this was for real. 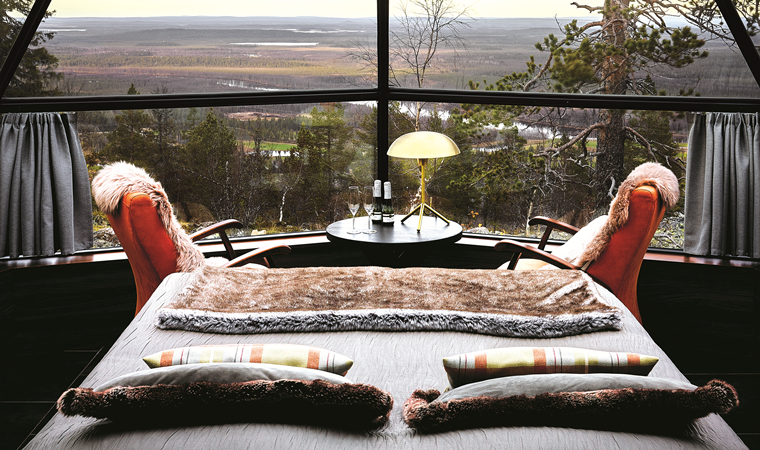 Kakslauttanen: Those who are looking for an enchanting Arctic experience will be in the midst of the cleanest air and enchanting wild nature, with one of Finland's largest national parks Urho Kekkonen Nation Park next door. The Region is steeped in the culture of indigenous Sami folk. 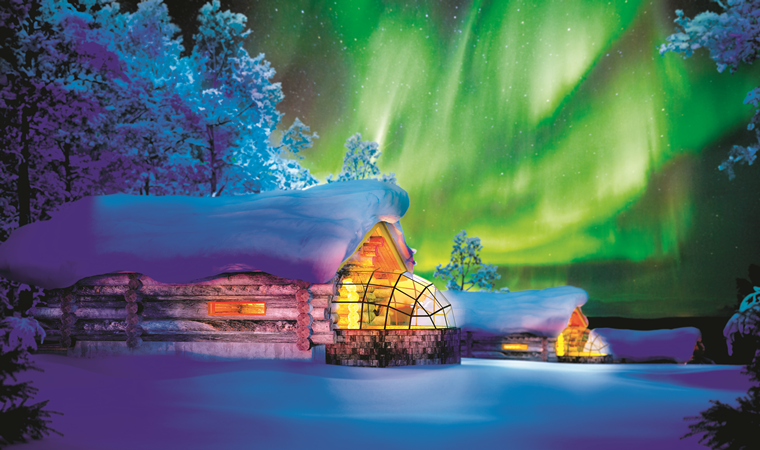 Their glass igloos which are an extension of the log cabins, make this resort special to experience the Northern Lights phenomenon with all the creature comforts. 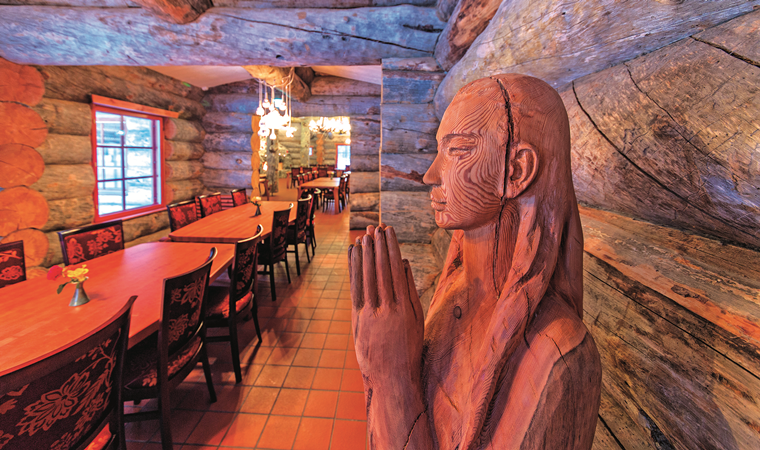 Restaurants Kelo and Aurora also offer local Lappish or Sami cuisine. Made sense to buy it. Fingers crossed. By midnight I was back in my igloo. The internal lights were reflected on the glass walls. Blink, blink, the eyes are again trying to re-adjust, I try to take a few pictures with my phone, glass reflecting on glass and the flash playing its own tricks, I decided to give it up and enjoy the view. As I switched off the lights and watched the trees swaying overhead, I became acutely aware of the companionship the reflections had offered. Such was the sense of isolation. A strange wave of intimidation, left as fast as it came. I was tempted to turn on the lights again. Resisting the urge to cling onto the metaphorical straw for comfort, my heart beat faster and I was wider than wide awake. The gentle breeze that was taking the clouds away was also making the fir trees sway and dance. It wasn’t one of the dark nights, some sort of stellar glow kept the sky a beautiful shade somewhere between midnight-blue and charcoal. 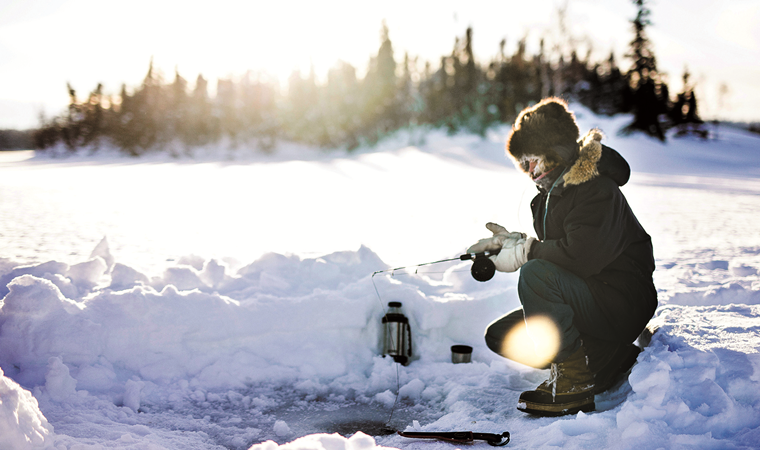 BlachforD lake: Perched on a rock knoll overlooking Blachford lake near Yellowknife this resort is set in pristine wilderness that is unpolluted by light or noise. 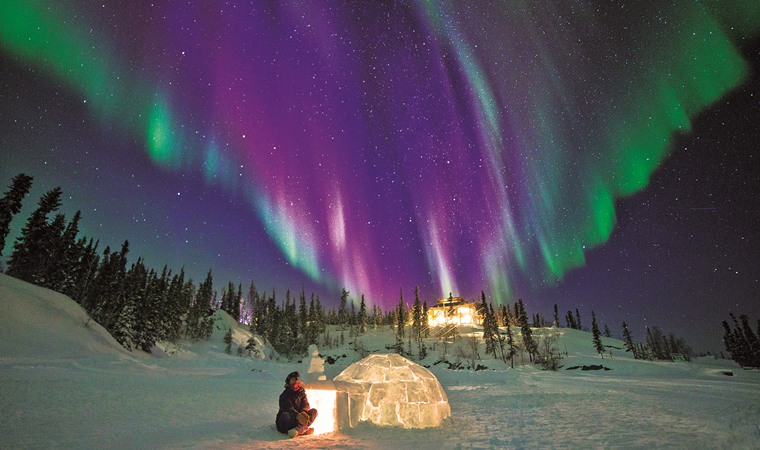 It is known for spectacular Aurora Borealis viewing outside of Yellowknife. Located in the Northwest Territories, the best part about this resort is that it is situated right underneath the auroral oval that sparkles like a string of glitters and diamonds in winter. The resort has hosted several prominent creative personalities. I lay awake looking hard into the horizon 270 degrees across. Ears picking up the lightest of sounds of wildlife that surrounds the igloos. We had been warned not to wander off too far for fear of wild animals. I kept waiting for the app alarm to go off. Sleep was intermittent. Around 3 am, once again I walked around my igloo. This time, in the far distance to my east, I saw a dull green mass at the horizon. I stayed glued to the vision for what seemed like a long time. It didn’t seem to be moving perceptibly. It must have been very far away. I also didn't want to peer too hard, just in case it turned out that I was imagining it. I was happy at what I thought I saw. The gaze drifted me off and the next thing, I see birds flying rather close. I wake up to the fact that I have been sleeping in a glass igloo. Levin Iglut: Located at an altitude of 340 meters in the peaceful lap of Levi Fell, this one offers expansive views of the Fell landscape. It offers the unique experience of staying in a full glass igloo, submerged in the snow. Each of these igloos feature electrically heated non-fogging glass and motorised beds that adjust the viewing angle. Partly built into the ground it has panoramic windows and ceiling, with spectacular views to match. The restaurant too is all glass. Next morning, at breakfast, I shared my experience with the hotel staff. In all probability, they told me, what I saw was the Northern Lights in the distance! They had other guests mention the same! For someone who is born and raised under the Northern Lights, as the young chef that I was talking to was, it was easy for him to talk about the aurora in a very matter-of-factly way. Well, so much for this effort, better luck next time and it was time for me to pack my bags. As I chatted with the person who was helping me get a cab to take the bus back to Rovaniemi, he casually mentioned that I was the second Indian he was interacting with. Curious I asked him if he remembered who the other Indian was? He couldn’t recall the name except that it was a cricketer with his wife on honeymoon! Epilogue: Stronger and more confident, I made it back to Rovaniemi and enjoyed the little town which now seemed liked a sea of humanity. I am also now planning a proper Aurora Borealis hunting trip with a group of adventurers! 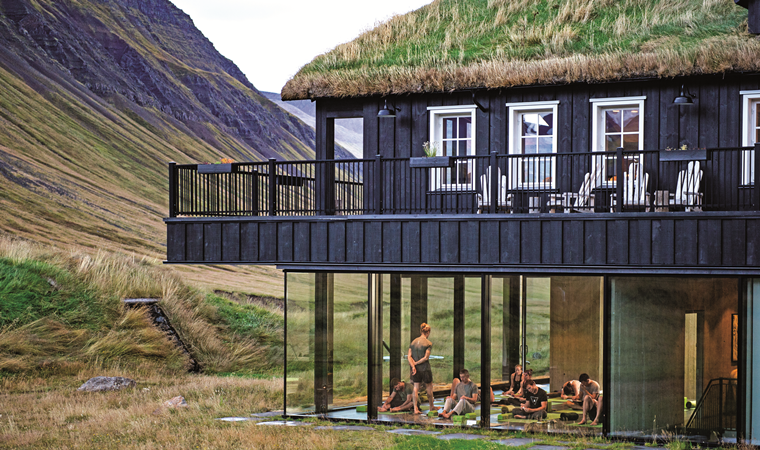 Hotel Ranga: This is known for its opulent landscape and ideal for discovering and experiencing everything South Iceland has to offer- from the golden circle in the west to the glacial lagoon in t he east. The continental suites in hotel Ranga are themed after each of the seven continents. Its a perfect setting for star gazing, sun gazing and the never ending mysticism of the Aurora Borealis. They also have an indoor garden where they grow their own vegetables to be served to the guests at the fine-dining restaurant by the river. What we see in pictures is a 2D representation; in real ife, the unpredictability and the varying gaseous compositions, which gives the hues, is totally mesmerising.